“Nimmappraane, CM aagalla (I swear on your father, you will never become the chief minister).” That was former Karnataka chief minister Siddaramaiah’s challenge to HD Kumaraswamy in April. Unfortunately, nothing went right for Siddaramaiah since then. 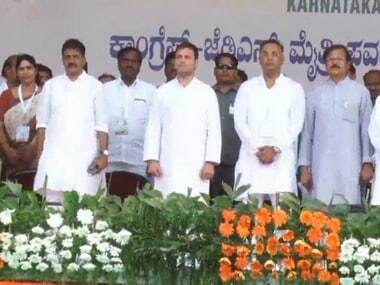 Now, forced by his high command to play second fiddle to the JD(S), Siddaramaiah has no role to play in the new JD(S)-Congress coalition government, to be sworn in on 23 May. Going forward, it is unlikely that he will be given much of a role to play even within his own party. For the Congress, with its one grassroots leader in the state totally sidelined, its stance will be that “the high command will decide”. Siddaramaiah is the leader of the legislature party, but is unlikely to have any say on the selection of the deputy chief minister or ministers. 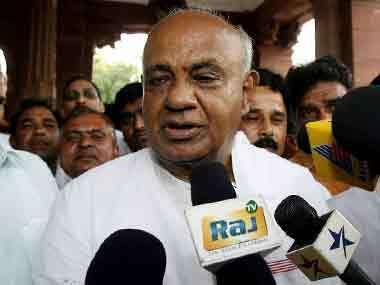 Mallikarjun Kharge and state party head G Parameshwara are the obvious names for the deputy chief minister's post. Some decisions are expected later on Monday after Kumaraswamy’s meetings with Sonia and Rahul Gandhi. It is bound to be a prickly government, given all the rhetoric the two parties directed at each other during the campaign. Governance decisions could end with more acrimony between the two parties. Congress leaders who miss out on a berth in the government will want something in return for their loyalty during the trust vote. How many deputy chief ministers will the Congress want? One, definitely. Two, not unlikely. How many ministers will the Congress want? Since they have twice as many MLAs as the JD(S), will they demand twice as many ministries? The talk currently is of 20 ministries for the Congress and 13 for the JD(S). After the bickering over numbers will come the spat over portfolio allocation. Unfortunately for the Congress, they made Kumaraswamy the chief minister. Now they have to live with him for five years, as promised. Promises, of course, are made to be broken. 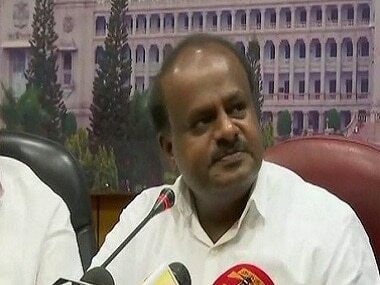 But as of now, Kumaraswamy, despite having come last, is in a position to dictate terms to the party that came second. He will, of course, keep key portfolios such as finance, agriculture and home. What he will retain for himself is not quite clear. But he will certainly need to keep his 38 MLAs happy. These MLAs can all expect some plum postings (as happened in Haryana once, under Bhajan Lal). So if the Congress has to make do with leftovers, so be it. Farm loan waivers, and some of the former chief minister's Bhagya schemes, like free rice to the poor, will probably not be changed. But they probably will be renamed. A few new ones may be announced in the name of the new chief minister. Populism will be on full display. The old Mysuru region, the stronghold of the JD(S) and HD Kumaraswamy, can expect plenty of largesse. There may be several freebees for farmers, an issue which both Deve Gowda and Kumaraswamy kept harping on during the campaign. Bengaluru city will hopefully get some much-needed attention, with the corporation and Vidhan Soudha ruled by the same combine. A good monsoon will be a major boost to the JD(S). The Centre will have to notify the Cauvery management board soon. And there is the Supreme Court verdict to release more Cauvery water to Tamil Nadu. 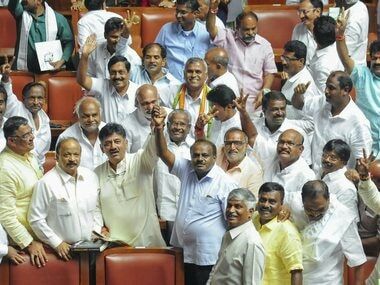 The Congress will need to maintain a delicate balance between its compulsions in Karnataka and its interests in Tamil Nadu. Then there is the Mahadayi water issue in the Mumbai Karnataka region, which the BJP had promised to resolve. Having lost heavily in that region, the new government will find it tough to address this matter. The corruption issue, raised by all parties during the campaign, will need to be addressed. 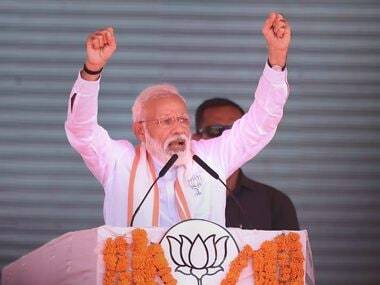 The new government will have to also address the communal issues in the coastal belt which the BJP took advantage of, and the Lingayat muddle created by the outgoing chief minister. The caste and communal polarisation that this election has caused is real. The loser in this was the Congress. Now they have the opportunity to win back votes that they lost to the BJP. But that will require more than just slogans and speeches. The BJP, of course, will be looking ahead to 2019, and sooner rather than later, the JD(S) and Congress too will have to plan for this, if a repeat of 2014 is to be avoided. Whether the coalition will survive till then, however, is open to question. Follow live updates on the Karnataka government formation here.